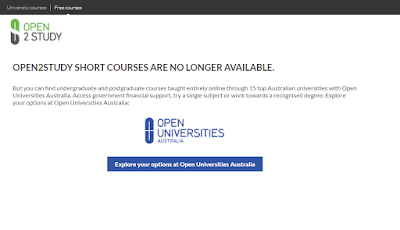 Last night, while browsing through my Reddit subscriptions, I noticed on one of the EdTech Reddits that Open2Study is now closed, and that the site redirects to Open Universities Australia (which was the parent entity). I was a little in disbelief, but since I had not visited O2S in a while I thought I'd check it out with my own two eyes. Lo and behold, the site was closed (see screencap above) and it was directing people to OU Australia. On the one hand this wasn't surprising. 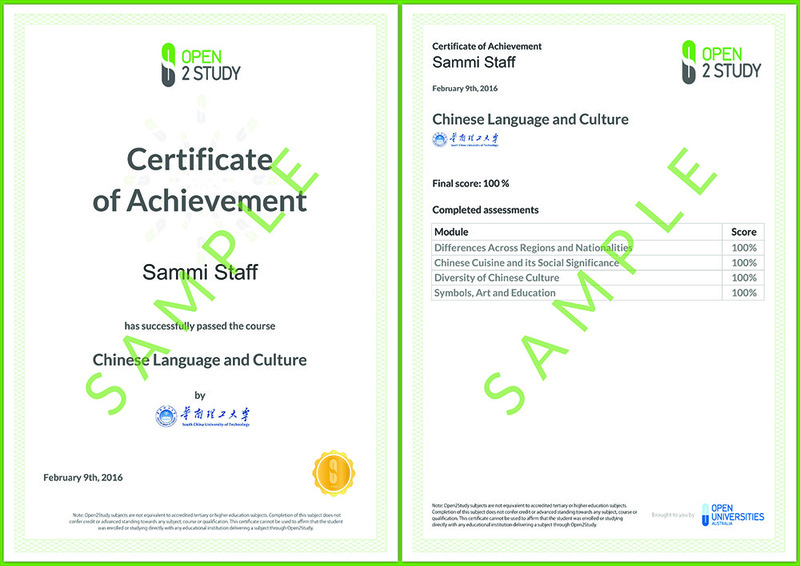 I had completed most of the courses that I was interested in within the first year of operation (2013?). I did check back periodically to see if they had added anything new, but the course offerings seemed to stagnate. I don't think that the platform added any new courses past that initial batch in 2013. With this stagnation it does seem normal that the platform would close. However, it does seem a little weird that no announcement was made. Even as late as December 2018 their Facebook page sent kind reminders for students to finish up work before the next iteration of the course started, and a number of facebook posters indicated that they had signed up for the new round of courses starting in early January (this month). So the question is, what gives? The platform itself seemed interesting. The courses that I took all seemed a little cookie cutter in their design: They were 4 weeks in length, there were videos (coursera-style) to view, quizzes to take, and some discussion forums for interaction, but not necessarily required as part of a course. There were forums, that were outside of the scope of the course, where people could interact, and the learning process, at a meta-level, was gamified. 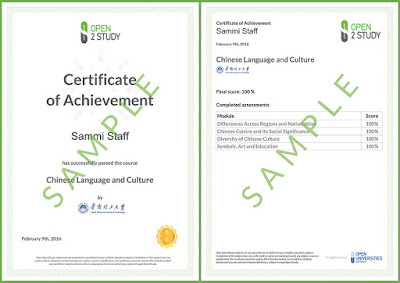 Learners could earn badges for completing courses, for getting perfect scores, and for a few other things. There were some nice ideas on the platform, but it seemed like a rushed response to the MOOC phenomenon, without much follow-through. I think this is the second MOOC platform to die. The first one that I can remember was a homebrew experiment that Stanford had (Stanford Open Courses?) which they killed off after a offering a couple of courses; and opted to run an instance of OpenEdX instead. I don't particularly count this first instance of MOOC-platform death as an actual thing since Stanford went on to use OpenEdx, but to my mind the closure (and quite silent one at that) of Open2Study seems quite significant. I do wonder how many other MOOC platforms will close in 2019 and 2020. The last week of EL30 was on the topic of Agency. The video chat was quite interesting to watch but the topic of agency wasn't as big as I thought it would be (maybe time to rewatch? It's been a few weeks since I watched it). The conversation started off with some interesting examples of community agency, but it seems to have gone beyond that. I have taken some snippets of the conversation and reflected a bit on them. Just to situate this blog post, here is the information about this week from the course page: "Each of the major developments in the internet - from the client-server model to platform-based interoperability to web3-based consensus networks - has been accompanied by a shift in agency. The relative standing of the individual with respect to community, institutions, and governments was shifted, for better or worse." One of the things that jumped out at me was an issue with analytics, an issue brought up by the discussants of the week: the data that we collect for analysis is data that is necessarily and by definition historical. By trying to replicate the best practice of the past, you are also replicating potential structural inequalities. Furthermore by basing your decisions and actions on historical data (without a critical eye on the conditions - both stated and unstated conditions) you could exclude inadvertently exclude the same populations that were historically excluded populations, and these are the same populations that you need to include going forward. Need to be critical about your data use. The key take-away here is that no matter what data you end up using to make decisions, data isn't value-free. 1. Some courses were required courses for my major, or for some sort of distribution requirement as an undergraduate. I sort of feel like the institution is punking me a bit. On the one hand they are telling me that I need to be there; for reasons that aren't necessarily explicit to learners at the time, other than "well this is a required course in your plan of study"; while at the same time they are asking me what I want out of it now that they have a captive audience. Agency is lost when something is compulsory, so asking "what do you want out of this course" seems disingenuous for compulsory courses. 2. I do wonder how much learners are sabotaged by being provided with learning objectives for the course prior to being asked what they want to get out of it? Is someone's thinking constrained if you present them with what the course is about (specifically) and then ask them what they want to get out of it? What if you ask them before you share your learning objectives? Now, as an instructor I do (try to) ask students what they want to get out of the courses I teach. In some cases what they want is totally incompatible with the course - and since I work in an institutional setting my 'bosses' expect certain things from a course. That said, I do actively keep an eye out for things that might interest my learners as we cover topics that might be adjacent to their interests. I see this as a form of mentorship. I'll wrap up this post, and maybe even #el30 with something Silvia said: We shouldn't wait for our desired future to happen. We need to create the future we desire. † I was actually 1 course short! All I needed was a literature course, but what it basically boiled down to was stay 1 more semester for the minor, or graduate now. I chose graduation. Well, the penultimate topic for EL30 is on the subject of experience. I wasn't quite sure, when I started watching that week's recorded chat, what I would get from the week, but unsurprisngly I had a few "AHA!!!" moments. From the course page: "It is a truism that we learn from experience, and yet creating a role for experience in learning has been one of the most difficult problems in education. And so much of education continues to rely on indirect methods depending on knowledge transfer - reading, lectures, videos - rather than hands-on practice and knowledge creation." One of the first connections that came to mind was a connection to an overall curriculum. When someone attends your school, or even your program, should there be a requirement to go out in the field and do something? Let's say for my department (we educate applied linguists who aim to be language teachers), should everyone be required to do a practicum as part of their degree? Right now a practicum is technically required but it can be waived if a student has teaching experience already. Anecdotally I can say that about 90% of students waive that requirement. However, even if they are experienced teachers, what would happen if we asked them to go to someone else's classroom instead? What can they gain by experiencing something outside of they "regular" way they do things as teachers? What if they step out of their own boundaries to experience something new? Another connection that came to mind comes from my own teaching experience. As some might know, I also teach part time in a graduate instructional design program. Over the past six or so years I've been in conversations with fellow ID professionals about instructional design and our own learning experiences. Invariably a topic comes up where an IDer says "we didn't learn X in class" or "they don't teach you Y in school". Substitute "X" with some software and substitute "Y" with some soft skill. This really connected for me when Stephen asked Amy: "Transitioning from A to B; how to you do that?" and Amy responds: "by doing it!" It is a little surprising to me, as someone who works in higher education, that we don't prepare our learners (mentally) for the fact that a plan of study (an MA or MEd degree for example) is a finite period of time in a student's life. It is not possible to teach everything that everyone needs to know to be a respectable professional in such a finite time. This mindset also assumes that knowledge is finite and that what we teach today is valid forever and always. We should be encouraging students to go out there and just do it if there is something in particular that they want to learn. We should be designing into our courses space for experimentation and self-learning (not just guided learning). For example, if someone wants to learn Adobe Captivate or Articulate, they should hit up some tutorial on youtube, lynda (in the US this might be free with a public library subscription), or the help pages of the relevant software. Assuming that you will learn Adobe Captivate (or other such eLearning authoring tool) in a graduate course, and by extension you will master certain eLearning authoring packages through a graduate course is a waste of a graduate course in my opinion :-). This kind of knowledge gets outdated quickly. A hashtag for every book chapter or recipe for activity. Amy's created a hashtag for each of her chapters in her book. This way people can report back when they try something in a learning activity book, or engage in a discussion around the content of a given chapter. This way you make the book a living book enriched by the thoughts, ideas, and mods of others who are part of that community of reading that book or chapter. I agree wholeheartedly! I remember a time, before mLearning took off in the US, that I was trying to convince my fellow instructional designers that we should be looking at mLearning. How can we provide learning through non-smartphones? That was exciting to me. One of my colleague looked at me straight in the eye and quite seriously said that they wouldn't invest in learning about mLearning until Flash was available on the iPad. An entry level model for an iPad 2 at the time cost $500 (and Flash never came to the iPad 😏). This was incredibly short sighted of my colleague, but really telling. This person had no constraints - elearning authoring packages were provided to them, obviously iPads and smartphones were provided to them, so they designed in abundance. When you design in abundance you can't necessarily think creatively! I like Amy's approach of doing things in small chunks. The rationale to do this is that it increases motivation and decreases stress of getting started. It' sort of how I composed this post (over 4-5 days if you include the viewing time). I will be the first though to acknowledge that I am also pretty bad at going with this advice ;-) I'll do it, but I always feel that I should be doing more. I guess I should get comfortable with going "at the right pace". Amy: it's ridiculous that we silo things in education. I agree. One of the things that I have noticed in academia, from my own back yard, is that there are neither good collaborative relationships between academic departments (mixed degrees, cross-functional learning, joint offerings), nor good collaboration with instructional designers and faculty. At the moment the relationship between entities feels the different parties involved feel like it's all a zero sum game. We need to break down the silos both between academic units, and between academics and support of various sorts. OK, that's my take from this week. Thoughts? Continuing on with my quest to experience the remainder of el30 before work begins again, today I'll write a bit about my thoughts about the topic of Week 7 which was community. "The traditional concept of community was built on sameness, on collections of people from the same family, speaking the same language, living in the same place, believing the same things. The fundamental challenge to community is to make decisions on matters affecting everybody while leaving to individuals, companies and institutions those matters not effectively managed by consensus." The interesting thing for me with this topic is that I sort of had an "AHAAAA!" moment (didn't quite scream it though...the all-caps was more for effect 😜). My aha moment revolved around my dissertation proposal and the concept of collaboration in MOOCs and what came to mind is that there needs to be a certain amount or type of community to exist in order for working together to happen...well...maybe... I guess I can't go too far with this line of thought until I look at the literature because I might be told I am biased 😉. In any case, it is something that I need to dive a little deeper into in the coming weeks. So, in the community video chat of the week (link; the Peter Forsyth video isn't loading) there were a number of a questions that came up about community. I don't think that many were answered since it seemed like an open brainstorming session (which is fine), but I thought that my take on this week would be continue the open brainstorming session and maybe attempt to answer these questions from my own learning perspectives. What is a minimal viable community? I suppose the first question I have is: what type of a community is this? I think a community can be successful, at least initially, with only a handful of members. If pressed for a number I'd call it 4-5 members. The example I can think of here closely-knit cohort members, or a small group of students who progress through a program of study in similar pace even though they might not be in a cohort. In my case one such example is the cohort I am in for my doctoral work. Out of a cohort of about 13 members (I've lost count since we've added and subtracted to our cool group over the years) we have 7-8 who are quite engaged in our cohort community, and the rest participate from time to time as life ebbs and flows. What are markers of community? What is a community? Who is a member? I suspect that this is quite difficult to answer. Some communities (like #el30) are open and anyone can conceivably be a member. Other communities, like those of professional associations are closed by requiring members to pay dues. Even when someone pays dues and is able to access a community, does that make them a member though? Or are there other pre-requisites to membership? For example does there need to be some sort or hard declaration of membership from the person being inducted into the community? In #el30's case, registering for the Daily? or posting a blog? or retweeting something? If a tangible aspect exists, what does this mean for lurkers? I guess the question is this: is community membership something that is provided from outside of a person (membership conferred) or something that is from within (membership declared or claimed)? A good example came from the discussion and that is the example of person reading a book that others are reading concurrently, but one person who is reading is not contributing to the discussion of the book (IRL lurker) - is he a member of that community? How do you meet each other to form a community? This is something that might come from my own dissertation work. I suspect that there are many ways in which community can be formed. I think part of it is serendipity (e.g., my own chance encounters with people from MOOCs over the last 8 years), and part of it might be through our own social networks (person A introduces person B to person C to some sort of community). This is definitely something that requires a deeper probe though. What are the core elements of a community? What brings people together? In the discussion the example of the EU was brought up, more specifically the EU being a solution to avoid the horrors experienced by various European nations in WWII; however this is more ideological and not everyone is on-board with ideology first; so the initial steps were at first tangible elements and they were practical - namely an economic union. Downes posited that in some communities there is some sort of attractor. In the original MOOC (CCK) that attractor was George Siemens (according to Downes), and for some (the 'core' group?) it was the fact that the course was a 3-credit course at the University of Manitoba. I would say that the attractor is probably a lot of different things to different people. Depending on what you want to get out of the community, your attractor will vary. Finally, there were two things that caught my attention. There was a discussion around the distributed web after the obligatory discussion of platforms (such as facebook) and the control we cede over to them. The question came up as to whether community formation is made more difficult if there aren't any centralized areas like facebook? What is the role of a platform in community creation? I would go back to my previous answer and say that this can be analyzed a bit through ANT, but also the platform is that starter space, or incubator (if you will). People can, and do, move onto other spaces once initial connections between human elements are formed. An example of this is CCK where people met on Moodle but they formed together in other spaces during and after the MOOC. As far as distributed networks go, IMO distributed works well for the techies like some of us with an initial starter pack of connections. It's harder for people, like my family in Greece, to be on a distributed platform. They may lack the know-how to set something up for themselves, and even if some of them do have this know-how, discoverability is an issue. Hence iMessage, Fb messenger, and facebook being 'important' in those communities if you want to be connected. Last but not neast: Downes called EL30 "not a course, but a massive social event" - I wonder what the attributes of a course are. So, that's it for me this week. What do you think? eL30's topic in Week 5 was all about resources, and specifically OER. This is a fun topic to return to from time to time to discuss, especially now given that my state seems to have taken it a step further by having a Massachusetts Open Education initiative which my university is promoting. There were a few things that came up as interesting in the interview, some newer to me, and some things that have come up in previous posts about OER. One interesting comment that came from the discussion is when Stephen mentioned during the chat that he is more reluctant to share a resource if it goes through a vetting/accrediting/QA process; not because he doesn't like quality, but because someone can just say "this resource doesn't deserve to be shared". I found this quite interesting. It's not that I disagree with Stephen, I too would be reluctant to share in an official capacity any work of mine if it meant that someone I don't know may be judging my contribution on some unknown set of criteria, hence making the sharing and vetting process opaque. This small, and potentially throw-away comment, really brings to the fore the importance of gate-keeping with OER. When it's relatively easy for me, as a creator, to contribute my work to the open by sharing a link to an ePub or PDF that I made what is the value of having such gate-keepers?† In hearing this comment I also was reminded of similar situations. When I was a graduate student I was president of one of the student associations. I thought it would be nice for students to get together outside of the classroom context to socialize (taking a cue from previous presidents) and I attempted to organize some get-togethers during and after the semester ended. Invariably there were many who complained for one reason or another - the dates were no convenient, or the locations proposed weren't convenient, or the times proposed weren't convenient, or something else. I realized (again) that you can't please everyone, and when someone decides to share something, freely, the expectations (by others) should also also be elastic since you didn't design the deliverable for them specifically (but people seem to forget that). Another interesting point brought up was by Sukaina Walji who made an interesting point about OER and that it may be growing toward something that is marketed (or commercialized?) as people want to adopt them because they don't want to create, or edit, their own materials. This was an interesting point to be made because it really feels like a colonization of OER by corporatist entities. It reminds me a lot of what happened with MOOCs after Coursera et al came to the game. Will there be a point where we're starting to debate the meaning of "open" in OER in the near future? Also, as educators, aren't we responsible for creating some of our own materials? If everything is a collage (take some of column A and some from column B) without creating something of our own, what does that mean for the profession of teaching? Having been in contact with a variety of faculty in the past, I am constantly surprised as to how many faculty use canned lecture PowerPoint that come with the textbook for example (and it's usually bad PowerPoint design to begin with). I get that we don't have the time to create everything ourselves, but where does the creative process fit if we just buy something (or even discover something for free in an OER directory) without really thinking and tailoring its use for our classrooms? Finally, from the point of the weekly chat, an issue that emerged with OER is the categorization of resources, aligning those OERs with curriculum, and determining level of difficulty of the OER. These add to the level of complexity of sharing and finding OER. This, for the discussants, connected with Wiley's reusability paradox. The thing that jumped out at me here is that categorization of some types of OER is really a local-level issue. For instance, if I am creating an OER assignment-bank for my introduction to instructional design course then I am designing with local considerations in mind which include local degree requirements, local curriculum requirements, and local conceptions of level of difficulty. If this assignment-bank makes it into an OER repository it's up to the end-user to do most of the work to determine level of difficulty, where in the curriculum it fits, and how it fits in with their educational objectives. However, if a few colleagues and I decide to come together to create an OER textbook - let's call it introduction to instructional design & learning technologies then we are thinking more broadly at the time of creation and we can make recommendations as to where it can fit. The end-user still needs to determine some specifics, but the authors can help in alleviating some of that overhead. Personally I've found issues with finding OER, in repositories, because looking for specific material to match my needs usually doesn't provide me with much. However, if you approach the search for materials material in a manner that is more like browsing items at a flea market then you could come away with some interesting gems, especially if you are flexible in how you arrange your class. You should still be prepared to edit the materials, but there is potential there for serendipity. Last thing that came to mind as I was composing this post: Tenure, promotion, and OER. I would be curious to know how many institutions consider OER as a substantial part of tenure and promotion of their faculty. My economics knowledge is fairly rudimentary (ECON 101 & 102 in college) but it seems that faculty (like most other rational actors) would pick things to do (research, publish, committees, etc.) that provide substantive returns in them being able to keep their job (by means of tenure). If OER isn't really considered to be that important by an institution, who is left caring about creating quality OER? In a recent email, for example, my institution was promoting the fact that faculty could earn a $200 stipend for reviewing OER. I think that's great but I think the calculus is wrong: $200 is far less valuable in the long run for an employee than doing something else that would allow them to keep their job. † Yes, I know there is value in having peer review and certain amount of gate-keeping so that there isn't fake material out there, but I pose to the question as a means of poking at the question. A week or so ago...well...maybe two weeks by now♣, the topic of eLearning 3.0 was identity, and the video guest of the week was Maha Bali. I finally managed to view all of it, even though it was in 10 minute increments. My Pocket's save-for-later is getting rather lengthy now that I am saving articles on the daily to read at some other future time. This time of the semester is rather busy, so I guess that's my disclaimer for this post: I am only commenting on the video and points that were brought up. In looking at the notes I took during the vConnecting session during week 4 (mid-way through the MOOC!) there are a few organizing factors that sort of came to me, so I've organized the post in this manner. At the beginning of the conversation Stephen had a bit of a hard time getting the native pronunciation of Maha's name. It's interesting to kick off a discussion about identity in such a mundane way, but I think that the concept of a name is quite powerful, on many levels. Often times names are given to us and we have no control over them. My name for example was given to me by my parents and godparents. There is a particular nickname given to me in grade 4 that I really only use in the company a certain close-knit group of friends from that time in my life. Other times we choose our names, case in point the username that you chose for your email address, that forum you joined, or your xbox gamertag. Those names we choose for ourselves usually have a story behind them. I would venture to say that stories are associated with names, and (my hypothesis is that) no two names share the same origin story. The multiple names that identify us - legal names, user names, nicknames - are to some fashion a pointer device for some aspect of our multifaceted identity. What about the things we studied? Relating to the institution is what we studied. In one of the past vConnecting sessions I was part of, when we were socializing before starting the recording, Maha had made an observation that a number of us (me included) had started off as computer scientists for our undergraduate degrees, but have moved on from that field. My own learning journey has taken me into many twisting, turning, and branching areas of knowledge; and while I ultimately chose Education as the field for my doctoral work, the previous fields I've studied are still elements of curiosity for me, and I would say inform my day-to-day work. Over the past number of years I've wanted to get back into coding, partly because I thought that this is what computer scientists do. I was thinking to myself: well, how can I call myself a computer scientist if I don't code. Maybe I am a "lapsed" computer scientist? Nah, that sounds too negative, after all I still use a lot of the knowledge gained through that course of study to understand the world now, so how can I be lapsed? Then came the aha moment: Maha said something interesting - she said that she was a "Computer scientist who left the code behind". This was a good definition of where I am. I still consider myself a computer scientist, but I have no interest in coding at the moment (at least not for money or for my 9-to-5). What we study/ied has helped frame how we see the world, and how we interact with it, whether we like it or not; and we get to see connections between one domain of knowledge and another♦. What about what we do? Another strand of being and identity came from what we do (I assume this is professional or from our pastimes). The question is do the things we do define us? And if we stopped doing them would they still define us? I think that what we do defines us to some extend, but not others. For example, from a professional perspective, I've had a variety of job titles over the past 20 years at my institution (hard to believe it's been that long). While I am no longer performing the duties of a media services worker, or a library worker, or even an IT worker on a day to day basis, many of my colleagues who've known me over the last two decades (who are still here) do reach out to me for Tech-y, IT-y, Instructional Design-y things that concern my department, even though many of those things are not in my formal job description. The institution, by means of the people involved, remembers me and my skillset, and it's just natural for them to reach out to the person that they know to get things done. Do I miss certain aspects of old jobs? Sure. Do I miss the old jobs? not really. Would I miss my current job if I moved elsewhere? Probably not. I enjoy what I do, but it doesn't define me. The relationships between people (faculty, staff, and students of my department) are what define my time here, and who I am (in relation to them) more than being the person who manages the various processes that need to happen for a department to run successfully. I am not sure if the heading is something I thought of while watching the video chat between Stephen and Maha, or if it's something they said. Either way, I see identity as a tree. It's a complex organism. It has roots that are nurtured by what surrounds it. It is impacted by the environment it's in, and it grows leaves and branches. Periodically it gets pruned as conditions change. There was an interesting point that Maha brought up. She indicated isn't all that up to speed with reading literature in her field in arabic. Her academic identity is English (or in English? it's been a while since I took these notes). This was interesting in that I identify the same way. My academic competence was developed in English (college and graduate school) and the last time I was in an academic environment where Greek was the language of instruction was in 8th grade. While I can read just fine (and I would like to expand my repertoire to read academic literature in my field in Greek), I do no consider myself fully bilingual when it comes to academic materials. I can read and comprehend just fine, but writing academic materials in Greek isn't as easy as it is in English. Despite the bumpy road with academic Greek, I've wanted to write in Greek, partly because it would potentially open the access to non-English speakers. However, when considering the fine time one has, the cost of such a transaction (time and effort spent), and the fact that it doesn't necessarily advance your academic career, you do have to pause and wonder whether your resources are spent well. If translating your work to another language is a hobby - great. Another thing that I consider, even for someone like me (who is on the fence about such a career), you want to be 'future proof' your career in a sense, so English makes the most sense as the primary language to publish in. Finally, a big question that has come up♥ is who gets to call themselves an academic? While I do teach from time to time, that's not my day-job (I am a manager by title, administrator by function). When I teach I am a lecturer even though I don't lecture, and I am never a professor even though some of my students address me with that title. I do research and publish from time to time, but that's neither required nor rewarded from neither my part-time teaching gig, nor my day-job. While I do perform tasks in the three categories that many consider key categories in the work of an academic in the US∋, I am not generally considered an academic (and feel rather weird calling myself that). I think Frances Bell and Jenny Mackness call themselves an Itinerant Scholar which sounds more appealing to me. While I do work in higher education, the noun academic doesn't feel welcoming as a title/descriptor. At least in the US there seems to be a sharp distinction between faculty and staff (everyone not faculty). Faculty being more prestigious and at a higher tier than us lowly staff. Academic many times feels like a synonym for faculty, hence the oppression of the system I work in somehow makes claiming that title feel wrong - like you're an impostor. At the end of the day who gets to call themselves an academic? Is it an endonym? or an exonym? What should it be? As much as I want this term to die out already, watching this interview I was left wondering where identity fits in with the concept of personal brand. Not sure what the answer is - maybe an entire discussion of its own. ‡ OK! OK! This is my extrapolation of the discussion in order to make this category. The discussion seemed much more interweaved with institutions and what we do in the discussion. Bear with me. ♠ In thinking about both the AU and UMB stuff I have, most have been gifts from mentors and colleagues. I have yet to buy something with my own money with the university logo on it. ♦ The lack of interconnection is something I actually see when I peer review journal submissions. Many people tend to publish in their disciplinary journals, and only do their literature reviews in those domains of knowledge, even when they are writing about teaching and learning (e.g., a chemist, or management PhD writing about teaching online). This leads to a lot of poor research writing because the lack of cross-disciplinary connections means that the people writing don't have a good understanding of the field they are writing about, and if they attempt to have an understanding it's often surface level. Just a random thought. ∋ Research, Teaching, and Service being those three categories. In any case, I am catching up with #el30, more specifically last week's guest Ben Werdmuller (see recording here). Interesting fun fact - Ben is the creator of Elgg, which is the platform that Athabasca University's "Landing" runs on. There were quite a few interesting things that came out of the conversation but there were two that really stuck out to me. The first is that there was a strand of the conversation that dealt with taking back control of your online identity from the various platform providers, such as facebook, google, yahoo/verizon, twitter, and so on. A lot of what we do, this blog inclusive, rests no someone else's platform. If the platform decides to cease operation you lose not just your data, but also the connections that are based upon that data. Take this blog for instance: If google decided to shut down blogger I could lose all of my posts going back to 2008 when I started doing education-related blogging. I also lose the connections that I've made through this blog (other people linking to, or reacting to, my writing). The same is true for things like twitter and facebook. In some instances services allow you to download your data, but in my experience that's been quite messy in the past. In most cases what I've gotten is a JSON formatted file (or set of files), and good luck importing that into somewhere where it's usable. If you're lucky you might get an offline viewer for your data. For blogs I've had luck importing from Wordpress into Blogger and I assume that the converse is true (if google decided to shut down blogger. I did chuckle a bit at Ben's comment that cPanel looks like something out of the 90s. I do have a website that I maintain, and the design of it is done on RapidWeaver (MacOS application), export the HTML, and upload via FTP to the server. The website is designed to pull data for a variety of sources, including Blogger. When I have to go into cPanel I cringe a bit. If I had a little more time on my hands I'd love to setup a Wordpress instance on my site but I know that I don't have enough time to really dive into it and migrate everything I have into something I control by myself (hence the title of this post: self-control still difficult). There were other interesting ideas that came up, such as asymmetrical bandwidth issues, the ability to have access to domain-name registration, and even hosting. So many threads to pull apart and dissect...and so little time. The second strand that piqued my interest has to do with prototyping. 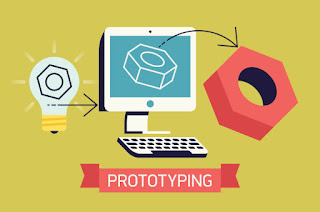 The discussion about designing prototypes, getting some user feedback, doing some more prototyping, getting some more user feedback and then coding something really brought me back to my senior year in undergraduate when I was taking a course in designing user interfaces (CS615). 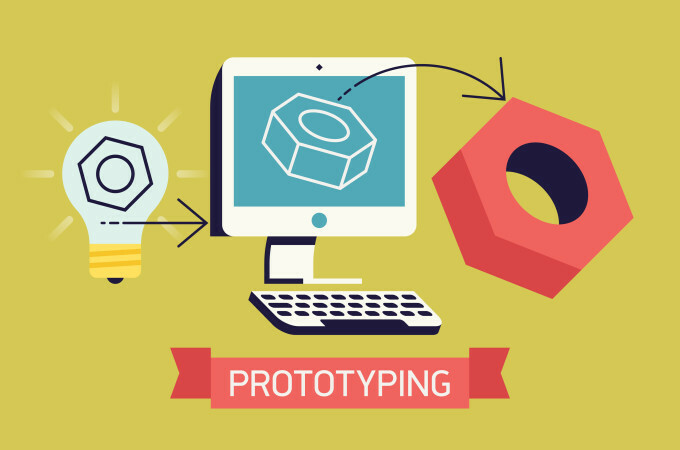 There is a lot of discussion (it seems) these days about getting your hands dirty, and getting something done, but without prototyping something to get a sense of how your initial ideas and concepts work, you could end up trying to solve coding problems that you don't need to bother with anyway because the prototyping stage might indicate that you don't even need to go down that particular path. This also connected well with another comment made (paraphrased): There is no need to start with the universe (aka all the bells and whistles); start with the minimal viable solution. This was, I feel, an important comment (and sentiment expressed) not just on software development, but on work in general. I suppose a related sentiment that I've heard in the past: The perfect is the enemy of done. I've seen, over the years, lots of projects fail to even get started because people object over the fact that the new solution isn't at one-to-one parity with the old solution or it's just not perfect. Many potentially interesting paths are never taken because the lack of perfection prevents people from even trying. 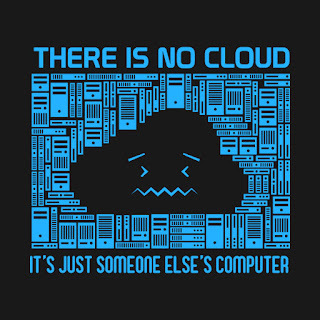 This past week in eLearning 3.0 (Week 2, aka 'the cloud'). This week's guest was Tony Hirsch, and what was discussed was the cloud, and specifically Docker. Before I get into my (riveting) thoughts on the cloud, let me go back to Week 0 (two weeks ago) and reflect a little on the thoughts I jotted down on my retrieved post-it note. So, in the live session a couple of weeks ago (it's recorded if you want to go back and see it), Siemens said something along the lines of "what information abundance consumes is attention". This really struck me as both a big "aha!" as well as a "well, d'uh! why hadn't it occurred to me already? D'oh!". There has been a lot said over the past few years about how people don't read anymore (they skim), and how bad that is. This ties into "what learners want" (a phrase I've heard countless times on-campus and off), and that tends to be bite-sized info, which leads us to the micro-learning craze. While micro-learning, or bite-sized learning, has its place, it can't be the end-all-be-all of approaches to learning. When the RSS feed is bursting with around 1700 unread posts (my average day if I don't check it), the effort to really give 100% attention to each item is too much; and part of it is that full articles no longer come over RSS - it's just the title and perhaps the first 250 characters of the article if you're lucky, so the 'click to go to article' is a necessity if you want to read the full thing. Back in the day (ca. 2005) I could actually read most things because my unread count wasn't all that big. So, as the abundance of data has become a reality, attention deficit seems like a natural connection to that. Another thing that Siemens said was that before the "messiness of learning was viewed as a distraction from learning, whereas now the making sense part is the learning" (paraphrased). This got me thinking about messiness and not-yet-ness. I agree that messy learning is what college (BA all the way to PhD) should be what learning is about, but how does that square with the mandates for learning outcomes and the measurability of those outcomes? This is particularly pointed at the moment as this year one department I am affiliated with went through their 'academic quality' review, and my home department is going through ours in early 2019. Messy works, but how do you sell it to the upper level admins? Also, how do you sell it to learners who have been enculturated into a transactional model of education? I don't have the answers, but interesting points to ponder and discuss. 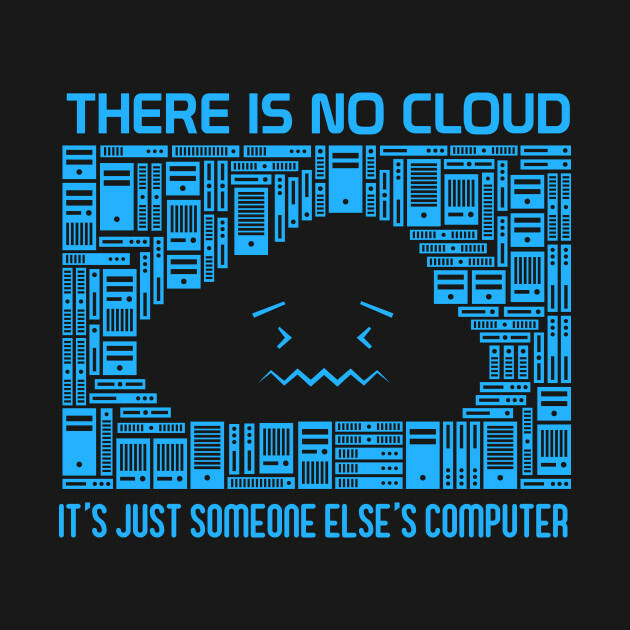 Now, on a more geeky or technical side: Docker and the cloud. As Stephen and Tony were discussing the cloud. This made me think of tinkering as learning, authentic learning, and the aforementioned messiness in learning. We now have the technology that allows us to spin off fresh instances of a virtual machine that has specific configurations. I've been able to do this on Virtual PC (back before microsoft bought them) on my mac for ages. It was actually a lot of fun to find old versions of Windows, OS/2, NEXTSTEP, and other operating systems and play around with them on my Mac. It was a great learning opportunity. But, but wasn't scalable. As a tinkerer I could do this on my own machines, but I couldn't distribute easily. Now, if I were teaching a course on (insert software), I could conceivably create the 'perfect' environment and have students be able to spin-up instances of that to be able to try things out without the need to install something locally; not sure what licensing looks like in this field, but let's assume it's 'easy' to deal with. 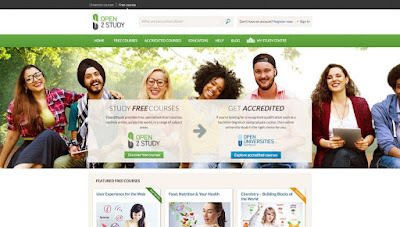 Whereas in prior eLearning (elearning 2.0?) the best that we could do is limited simulations with Articulate, we can actually afford to let the learners loose on a real live running instance of what they are learning. When they are done, they can just scrap the instance. Even if you needed to run the instance for an entire semester non-stop (15 weeks), that would still only cost the learner around $80. Not bad! The best thing about this? You can freely mess around, and if you break something (irreparably), start from scratch! Anyway, those are my thoughts on this week on eLearning 3.0 - what are your AHA moments? 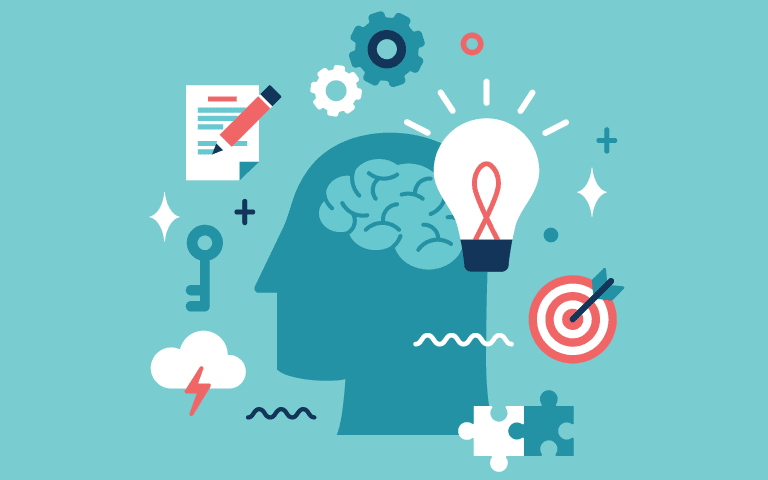 eLearning 3.0: How do I show my expertise? With my dissertation proposal in the hands of my committee and off for review, I thought I'd participate in a MOOC while I wait to hear back. Yes, I do have some articles that have piled up (which may be of use to my dissertation), but I thought I'd be a little more social (lurk a little, post a little). The funny thing is that as soon as I lamented the lack of cMOOCs...there it was, eLearning 3.0 popped up on my twitter feed...and a few Greek colleagues invited me to one in a Moodle. I guess the universe provided for me. Anyway - I had listened to both the intro video (week 0?) as well at the Downes & Siemens chat (Week 1 & 2) and I had jotted down a few things that piqued my interest...but of course I left them in the office. I guess I'll be blogging about those next week. The freshest thing in my mind is the chat about xAPI and the LRS (Learning Records Store). In all honesty this went a little over my head. I think I need to read a little more about the xAPI and this whole ecosystem, but the LRS is described as enabling "modern tracking of a wide variety of learning experiences, which might include capturing real world activities, actions completed in mobile apps or even job performance. Data from these experiences is stored in the LRS and can be shared with other systems that offer advanced reporting or support adaptive learning experiences"
(2) Where to track it? Both issues, very predictably, are answered with "it depends". What to track depends on the context. You can track everything, but not everything tracked is used in all potential instances where credentialing information is needed. For example, most common things tracked are your college degrees. This is fairly easy to track because most of us have a small countable number of them (1-3 I'd estimate). However this doesn't necessarily show growth and increasing expertise as a professional. So we delve deeper. Just taking myself as an example here are some learning opportunities that I have been part of over the past few years (some offer certificates or badges, some do not): MOOCs, week-long workshops, day long workshops, conferences, professional development webinars, self-paced elearning, required workshops on campus (e.g., campus compliance, purchasing, etc. ), masters and doctoral degree programs, virtually connecting sessions, and so on. Each format is different. Some have assessments, some do not. Some are mandatory, some are not. They all contribute to my knowledge of my field. Tracking is another issue. Where do I track things? There are many places. I have a resume - which is out of date, and I can't even find the word document any longer... I have a CV in Word format which I created this year for work purposes, there is LinkedIn, there is ORCID, and there are document repository networks like Mendeley, ResearchGate, Academia.edu, Scribd, and SlideShare; in addition to places where you can help folks with their questions, like Quora for instance. There is goodreads to track what you read. There are places to also track your digital badges, like the Open Badge backpack. I had once actually joined a free service, whose name escapes me at the moment, that was so granular that it could track articles you read - you tagged them with specifics (e.g., elearning, instructional design, online learning), and the service would add 'credit' to your profile for those things★. So as to not belabor the point, over the years I've come across a variety of learning situations where I've had learning experiences. Some with a nice shiny certificate at the end, others with just warm fuzzy feelings of accomplishment. How do we automate this multiple-in, multiple-out process so that we can actually track things with more precision, but also have the ability to spit out as many customizable reports as we can for credentialing purposes? I don't know about you, but I find myself not having enough time to document everything, and I certainly don't keep things like CVs, resumes, and my LinkedIn profile updated frequently. I think this will be one key challenge in eLearning 3.0. † well, it's my hypothesis that most people enter a learning experience for the learning and not just the certificate/diploma/badge that comes at the end. I do know that there are people like that around, but I think they are not the majority. Bat-signal for an External Committee Member! Now the next step (assuming the committee likes my submitted draft) is to both find an external reviewer for this, and also defend it so that I can move onto the next phase: data collection and analysis. If no tenure track person is identified, there is an 'other' category that the Faculty of Graduate Studies could approve. See the link for details. demonstrate continuing scholarly or creative activity of an original nature as defined in item 3.7.3.b. of the AUFA Collective Agreement. Abstract: This dissertation research will explore the factors for which individuals in an open educational environment choose to create, or join, collaboratives that produce certain mutually agreed-upon deliverables, and the factors that sustain individuals’s through this collaborative endeavor. As such, some of these factors may deal with characteristics and experiences that define such collaboratives, and what members of these collaboratives perceive as a gain from their involvement from such collaborative endeavors. The approach to research this topic will be an explanatory parallel mixed methods case study design that will initially explore quantitative results from the Community of Inquiry instrument as well as qualitative results gathered from an open-ended survey. Survey participants will be invited to participate in subsequent interviews in order to explore the question in more depth. A better understanding of why such collaboratives form, and what sustains them, might provide clues as to how such collaborative formations may encouraged, or nurtured, in online learning.